I will admit that last night I was fully expecting to spend my night playing a lot of ArcheAge. All signs pointed to World of Warcraft 6.2 being a buggy mess, and after all of the issues that we had during the head start with the Aether Data Center and not being abler to log in.. I had set my expectations pretty low. So when I got home I started something cooking in the oven and wandered upstairs in order to attempt a login, while waiting. Much to my surprise I got right in and the servers were joyfully painless. In fact around 9:30 pm last night folks were still saying they made it through without an issue. It seems that Square Enix had something up their sleeve and actually did put a fix in place even though it did not make it into the patch notes. Once upon a time I said that I had faith that they would learn from their mistakes seen during A Realm Reborn, and it seems that sure enough they did. While we are only a single day into it, I have to say that was one of the absolute smoothest “official” launch days I have experienced. Things just worked, and I was able to keep trucking along and progressing forward. Once upon a time there was an initial crush of new players on opening day after the headstart finished. I am wondering however if this is actually the case anymore, or if now that we are so familiar with doing so… everyone just preorders to make sure they get access to the game as soon as possible. For most of the headstart my screen had been blissfully absent from gold seller spam, but I have to report last night… I got my first third party RMT message. The funny thing about it is that it was far less intelligible than normal, so I am wondering if somehow they have upgraded their filters and the spammers have had to figure out new methods around it. 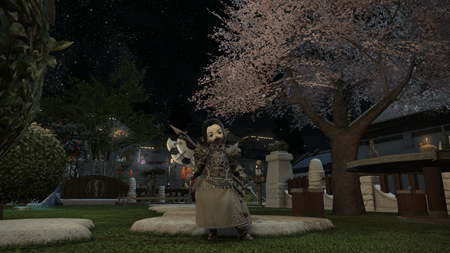 The reality is that hopefully the fact that they have to have completely the 2.55 storyline will deter some of the popup spam accounts at least while in the Heavensward content. Ash was saying they placed some additional restrictions on trial accounts, so in theory that might be helping as well. In any case my screen is no longer filled with a constant stream of spammers so whatever they did the improvement is appreciated. 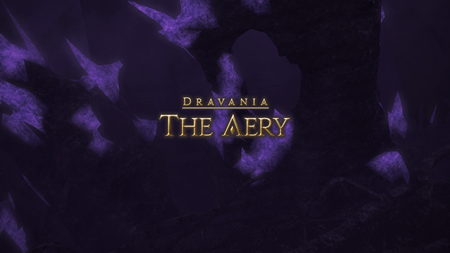 My goal for the evening was to be able to get through the third dungeon called The Aery, located in the Churning Mists. This location of the map as Kodra and I talked last night seems very much like the Netherstorm region of The Burning Crusade. The main difference being that instead of being an area where the land simply doesn’t exist… this is a series of floating islands high in the sky presumably over another land mass. Traditionally I have been nabbing Tamrielo to do these dungeons, but since last night was a class night for him… I had to wait around until enough other willing participants showed up. While I have generally felt like I am behind the curve it seems that in reality I am actually ahead of several of our guild members. Eventually I was able to gather up Mor, Kodra and Liyhe and tackle the dungeon. I have to say that once again I really enjoyed the experience of pushing through this instance without much prior knowledge about it. I knew that it was essentially a giant nest of dragons, and I knew that at the end I would more than likely face off against Nidhogg… but everything in between was new and fresh to me. My bags are quite literally loaded down with spare white mage and ninja gear, because it seems like that is the only sort of thing that I can make drop when doing instances. Last night however I finally got something else to drop… apparently a tanking skirt. They call it a “Longkilt” but in reality it actually is a skirt… but a skirt that was a significant upgrade both in ilevel and stats so I am rolling with it. I figure I will not likely be wearing it long enough to warrant spending a glamour prism on it. Most of the gear upgrades I have been getting have been coming from side quests at this point. I have had pretty abysmal luck with dungeon drops, which is unfortunate considering that there is at least theoretically a lot of really cool gear that comes from these leveling dungeons. I figure at this point I am hopefully going to be running these places quite a bit for various guildies as they reach that point in the story. Right now I am pretty much offering my tanking services to anyone who wants to take me somewhere. I have yet to resort to actually random queues, not that I have a real objection to them… I would just still rather run with my free company over just about anyone else. Traditionally my morning blog posts have this three section approach, but this morning I am finding myself struggling to put anything here. 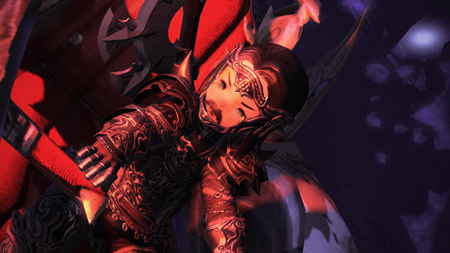 Right now when it comes to Heavensward content I am just overwhelmed by the amount of new things to do and experience, and if I had limitless time I would still feel like I need more of it. As for the other major item that released yesterday the World of Warcraft 6.2 patch… I admit I logged in, got the quest in my garrison to go to the Iron Docks… apparently took the wrong flight point and after running around for a few logged right back out. I lacked the drive to go back to the flight point and fly somewhere else. I guess part of me had hoped that I would simply log in, start my shipyard building and be done with it. Unfortunately it seems you have to go through a series of quests to be able to unlock this feature and right now that might be a bridge too far for me. Its like right now World of Warcraft is a packaged Oreo cookie… good on its own right, but I have a piece of homemade pecan pie with whipped cream on top staring at me… and that Oreo just doesn’t look as tasty compared to it. With the raid seemingly in a state of flux, and my return to it uncertain… I am starting to wonder how long it will be before I go ahead and simply cancel my World of Warcraft account once more. It is a perfectly fine game, but lacks whatever it is that I am looking for in a game. I always find myself back at this point, where the little things about the game end up annoying me. Each time I go through this song and dance however it ends up being less passionate. There was a time when I would write fiery posts about how wrong Blizzard was about this or that, but in the end much like the name reclamation thing… I am just finding it isn’t worth the effort. I feel like World of Warcraft is on this course to a destination that I just am not interested in going. The ride itself is comfortable enough, and there are interesting people to chat with on the train… but eventually you realize that you don’t actually want to go to the same place they are going. I will admit this last week not having a raid to go to on Tuesday or Thursday has been like a weight lifting off of my shoulders. This alone makes me think that more than likely I simply won’t be returning from this sabbatical.